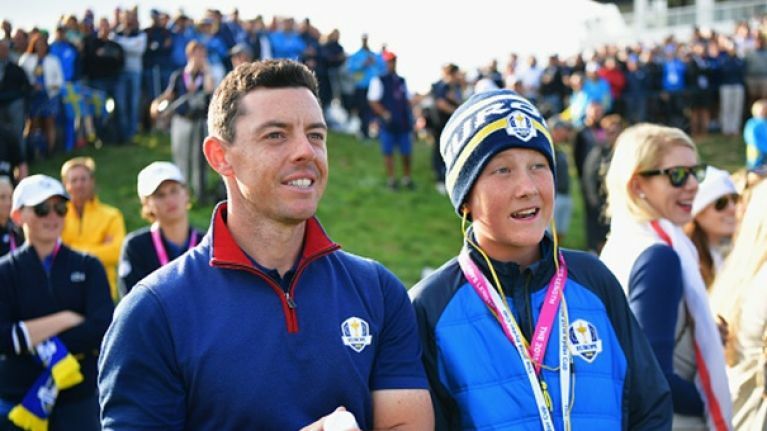 Team Europe's Justin Rose has said that a conversation with Rory McIlroy before Friday afternoon's foursome whitewash of the USA encouraged him ahead of his matchup with Tony Finau and Brooks Koepka. McIlroy struggled mightily in the fourball first round on Friday and was the only competing player not to birdie a hole. It was a disastrous start for McIlroy and Thorbjorn Olesen as they lost the morning session 3-1 to an extremely strong American team pairing of Rickie Fowler and Dustin Johnson. The Holywood native bounced back in a big way in the afternoon round and won 4&2 with Ian Poulter against Bubba Watson and Webb Simpson while Rose and playing partner Henrik Stenson won 3&2 against Johnson and Fowler. ‘I had a little chat with [Rory McIlroy] in the team room, it was tough loss this morning,’ Rose told Sky Sports after his win with Stenson in the afternoon. ‘So to turn it around was important. I saw my playing partner on the way out and Henrik and I have had great vibes in this event. McIlroy said it was good to play alongside Poulter in the afternoon session and that their playing history together was a big factor in their pairing. "We have a bit of a discussion earlier in the week and, it was kind of last minute but we decided to go with me and Poults," McIlroy told Sky Sports. 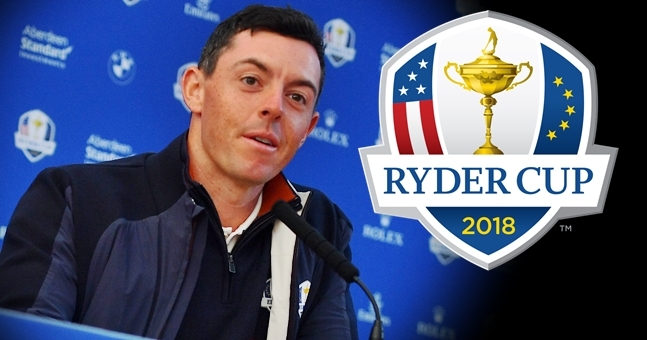 "We played well in Medinah and Gleneagles... it was good to deliver again."